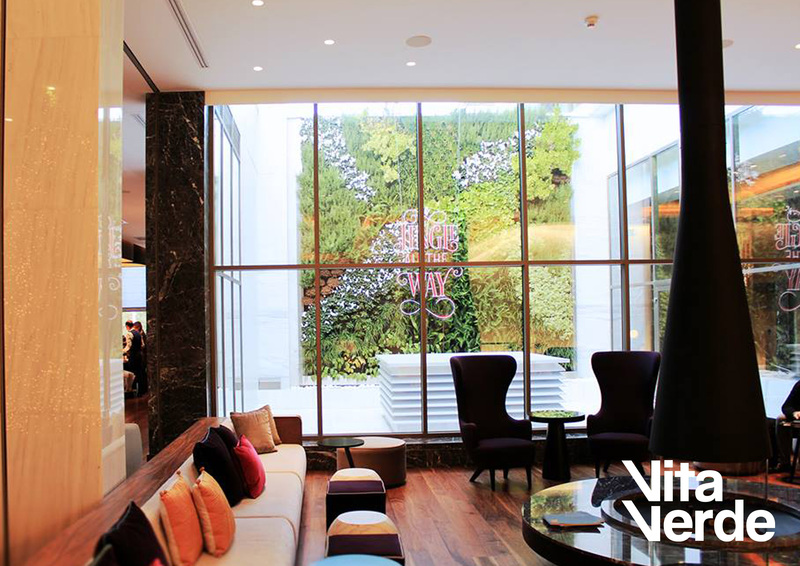 Several months ago a vertical garden at Makedonia Palace hotel in Thessaloniki came to life. We wanted to reflect on the development of this green piece of art which visitors enjoy from the lobby, the restaurant and the sea view rooms ever since. When you decide to plant a vertical garden, you need to have in mind that the plants need a several months to grow and enrich the whole garden. You can see in our previous blog post how the plants looked right after the planting and compare how they developed in the last few months. 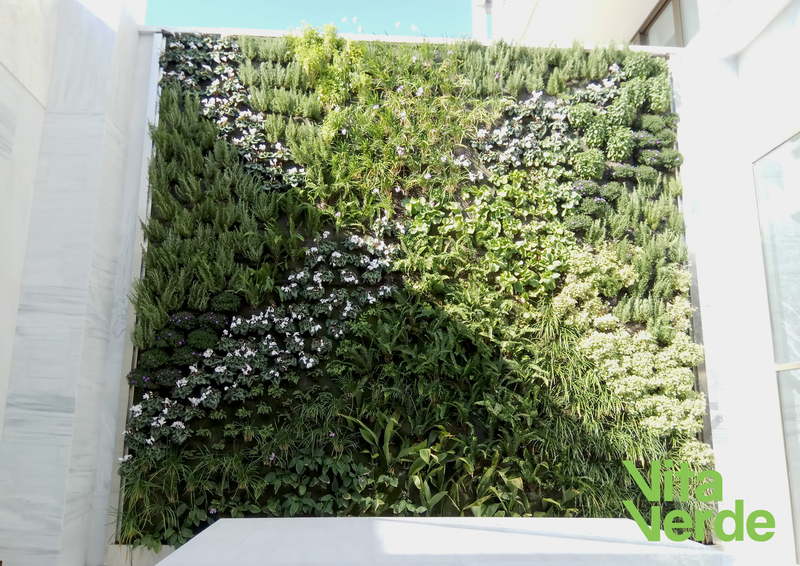 Besides a quality vertical garden system, great design and choice of plants, maintenance plays a critical role during the first few months of a vertical garden growth. A vertical garden cannot just be planted, it requires serious and regular maintenance in order to thrive. 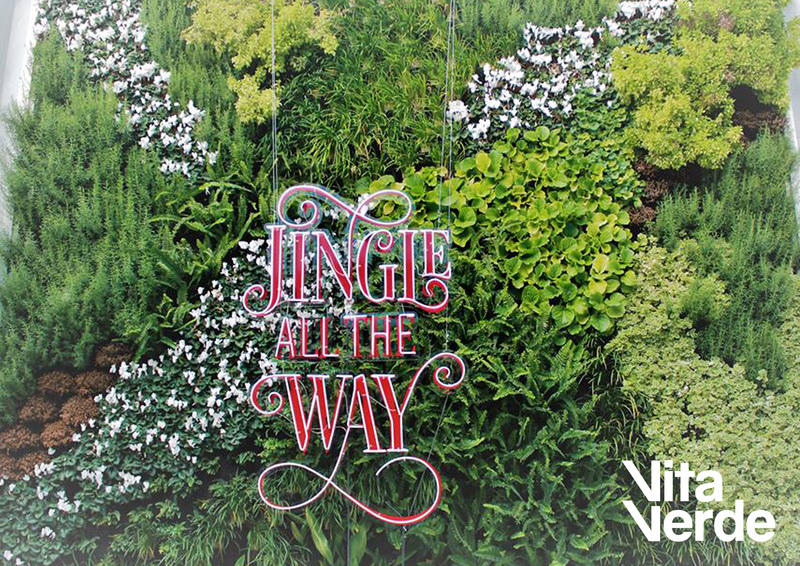 We hope you enjoyed the photos and that you got some ideas for how to combine other elements with your vertical garden to make it attractive for a specific season. 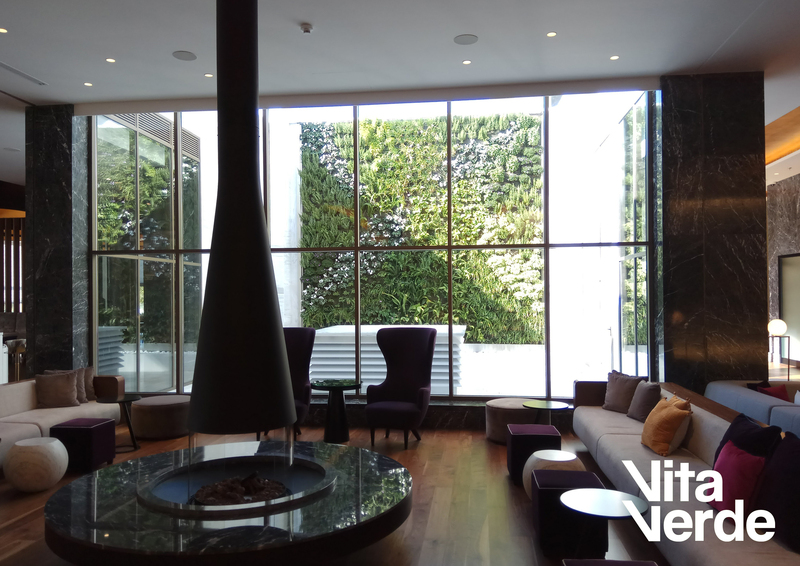 Have you already visited Makedonia Palace in Thessaloniki to check out the vertical garden and their holiday decoration?